To promote and establish incubation centre at GNLU to encourage and support startups in the field of law with allied interdisciplinary areas. 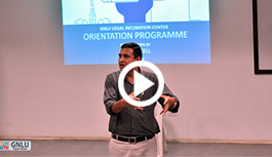 Gujarat National Law University, Gandhinagar (GNLU), Gujarat has launched incubator, named GNLU Legal Incubation Council (GLIC) as part of our vision towards excellence in imparting quality legal education which aims at institutionalizing mechanism, which could act as support system for entrepreneurs. 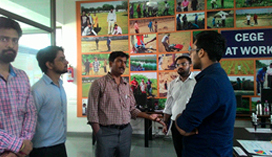 The Incubator set up under the scheme is expected to act as a tool to promote entrepreneurship and self-employment amongst law students as an attractive and viable career option.